1. 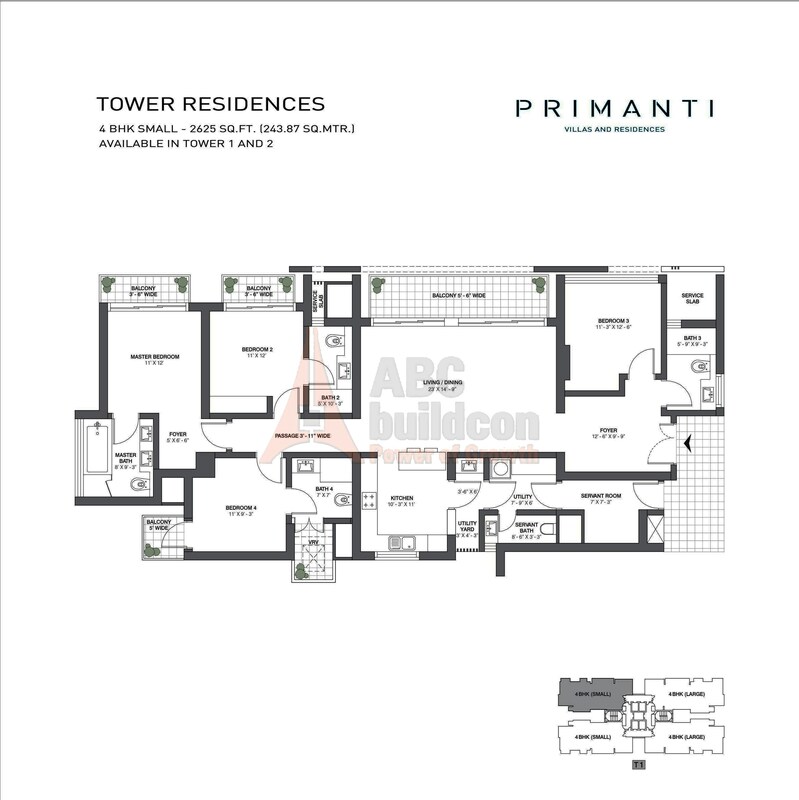 TATA Primanti Floor Plan 3 BHK + S.R + Utility – 2185 Sq. Ft.
2. 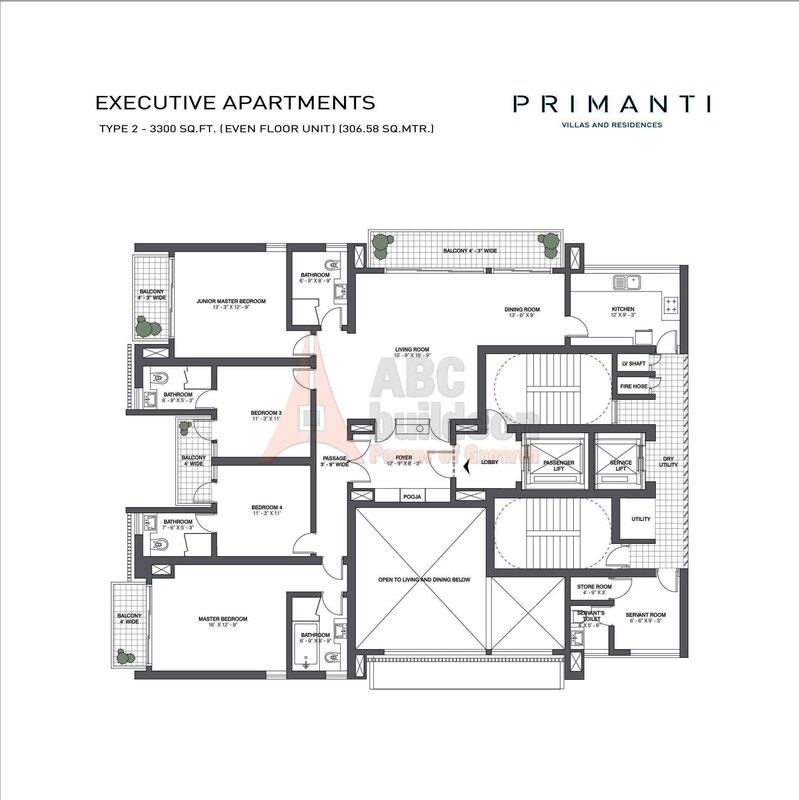 TATA Primanti Floor Plan 4 BHK + S.R + Utility – 2625 Sq. Ft.
3. 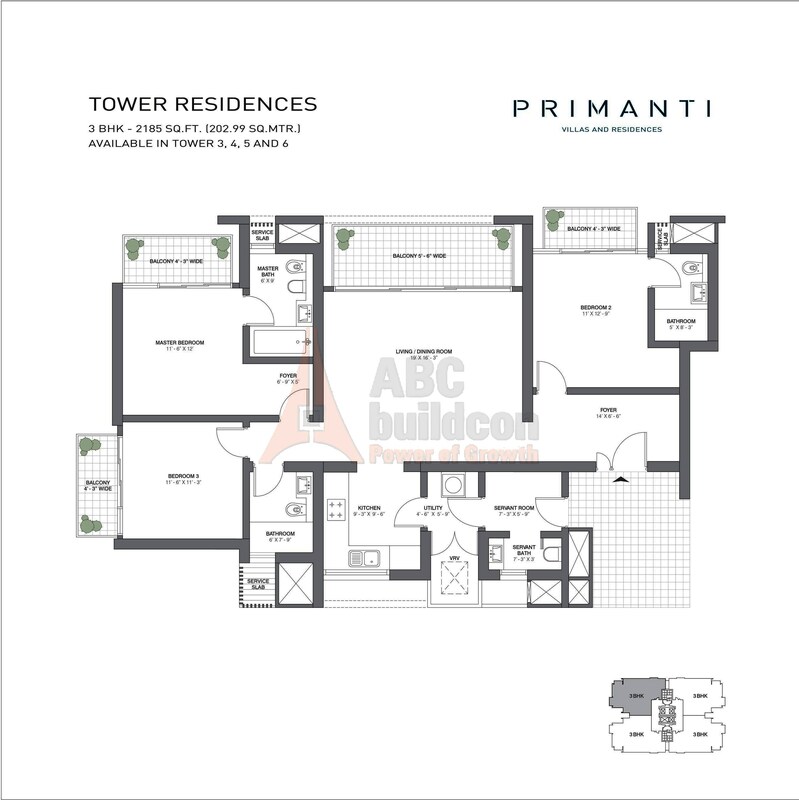 TATA Primanti Floor Plan 4 BHK + S.R + Utility – 2905 Sq. Ft.
4. 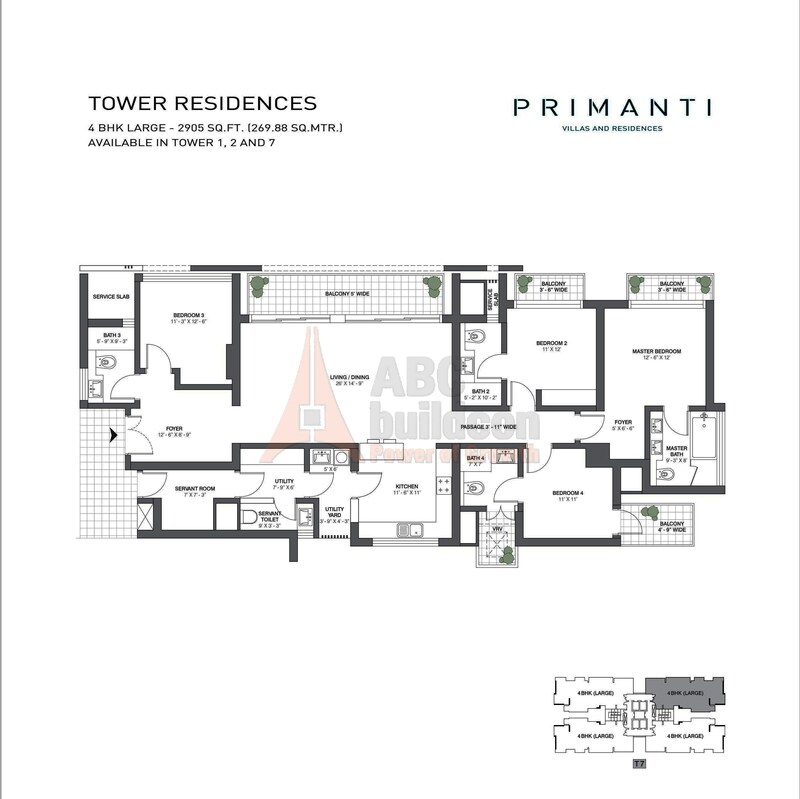 TATA Primanti Floor Plan 4 BHK + S.R + Store – 3300 Sq. Ft.